Ten prospective film projects – six of them from B.C. – have been selected to compete for the CineCoup Film Accelerator, a funding and distribution program for Canadian features. Ten prospective film projects — six of them from B.C. — have been selected to compete for the CineCoup Film Accelerator, a funding and distribution program for Canadian features. The top 10 CineCoup projects are optioned for development and one winner will receive up to $1 million in project financing and a guaranteed release in Cineplex theatres. The filmmakers submitted a two-minute trailer for their film and were asked to develop and market it via social media. Audience feedback played a role in whether they were chosen for the top 10. Alien Abduction: A comedy about a race of aliens who have been judging the human race through the life of one rather flawed 29-year-old male, from B.C. filmmakers. BAD: A thriller about two young people caught in a world of crime, from B.C. Grade Nine: about a geeky teen and his comrades, lovers of Dungeons & Dragons, negotiating high school in 1989, from B.C. SCAM: A telephone scam artist who preys on the elderly picks the wrong victim, from B.C. The Fall: A waitress meets the man of her dreams and he turns out to be a killer, from B.C. The Mill and the Mountain: A man tries to connect a teen with amnesia and a grisly murder 1,000 kms away, from B.C. Uprising: The story of an uprising in a world of inequality, from Alberta. Wolfcop: a cop turned werewolf fights crime and a strange cult, from Regina. Interstate 90: An ex-enforcer is called to Boston to settle a score with a crime boss, from Ontario. Red Horizon: A psychiatrist fights to restore the sanity of her crew on a mission to Mars, from Nova Scotia. Former Maple Pictures and Alliance Films executive Bob Pelman worked with J. Joly, a Vancouver-based distribution expert he met at the Banff World Media Festival last year, to design the CineCoup model. The key feature of the CineCoup process is developing audiences in advance for Canadian films, he told CBC News. "We haven't really been able to guarantee an audience for the films that we produce," Pelman said. "The general process is always 'make the film and then find the audience,' So J's idea — very simple but very effective — is to flip the pyramid, as it were. We're going to find the audience and make the film that they want to see,. He praised the Red Horizon project, by Halifax filmmaker Kris Booth, saying it has potential because of the interest in space created by real-life astronaut Chris Hadfield. The Werecop filmmakers, from Regina, also had a great marketing pitch. 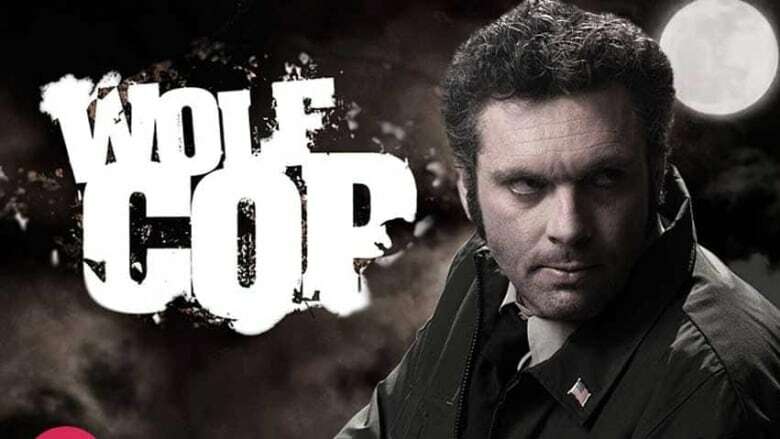 "These two guys came in in their Wolfcop poster under their arm, their trailer already cut on their iPad and they had an amazing cutline, 'Wolfcop: Dirty Harry…only hairier,'" Pelman said. He’ll be at the Cannes Film Festival later this week, seeking deals with international buyers and backers for the 10 film projects, all of which have demonstrated they have a potential audience. "We have optioned these 10 projects and I have very unique information about the audience clusters that we've surfaced through this process, so when I meet with film agents and financiers and international sales companies, I can actually tell them who wants to see this film," Pelman said. The top five films are to be chosen June 3 and the filmmakers will travel to the Banff World Media Festival to pitch their projects in front of industry experts. Robert Lantos of Serendipity Point and Michael Kennedy of Cineplex are on the panel who will select a winner to be declared June 10. "Success for us will be programming the one film that we're going to produce, in Cineplex theatres next year in February. That's the target, that's the destination, that's the commitment we have from Cineplex," Pelman said.